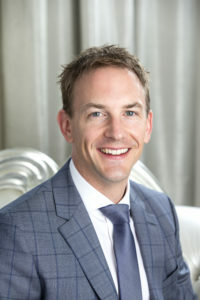 Mr Jeremy Rawlins is a fully qualified and accredited Specialist Plastic Surgeon working in Perth, Western Australia. He also works sessionally in the UK and by appointment in the Middle East. He has specialist plastic surgery fellowships from the UK (FRCS(Plast)) and Australia (FRACS(Plast)) – both obtained following higher surgical training and examinations in the UK and Australia. He is an AHPRA Specialist Plastic Surgeon and is on the GMC Specialist Register for Plastic, Reconstructive and Aesthetic Surgery. He is a full member of the Australian Society of Plastic Surgeons (ASPS) and the British Association of Plastic Surgeons (BAPRAS). Mr Rawlins was brought-up in the UK and USA. He undertook his undergraduate medical degree in Leeds and was awarded MB ChB with Honours. He undertook basic surgical training in Yorkshire and Queensland. Prior to specialist training he was granted Master of Philosophy from the University of Bradford for his research into scars. He undertook his specialist plastic surgery training in hospitals throughout Yorkshire, with fellowships in France, the USA and Australia. Mr Rawlins works as a specialist plastic surgeon at Royal Perth Hospital, Fiona Stanley Hospital, and at private clinics and hospitals across the Perth metro area. He continues to be involved in research and audit, surgical education and burns management training. Mr Rawlins has a busy public and private practice. His specialist interest areas include Burns and Burns Reconstruction – (an area of plastic surgery he has been involved in since his undergraduate days), hand trauma, complex lower limb trauma, and facial trauma. His elective specialist interests include: skin cancer (including Melanoma), head and neck cancer, body contouring, scar improvement, and cosmetic surgery. Mr Rawlins has a particular interest in reconstructive microsurgery and the use of ‘free flaps’ and ‘perforator flaps’ in his plastic surgery practice. Mr Rawlins is a current EMSB Course Director/Instructor, and is the current President of the Australian & New Zealand Burn Association.